Mayo Clinic has now developed, through utilizing next generation sequencing, a multi-gene panel to evaluate for somatic mutations within the BRAF, HRAS, NRAS, and KRAS genes associated with cancer. 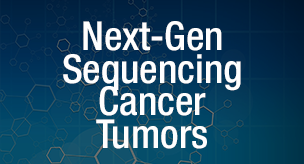 This test can be ordered to identify tumors that may respond to targeted therapies by assessing multiple gene targets simultaneously, mutations that may help determine prognosis for patients with solid tumors, and specific mutations within genes known to be associated with response or resistance to specific cancer therapies. This test is performed to evaluate for somatic mutations within tumor samples and does not assess for germline alterations within the genes listed. EGFR is a growth factor receptor that is activated by the binding of specific ligands (epiregulin and amphiregulin), resulting in activation of the RAS/MAPK pathway. Activation of this pathway induces a signaling cascade ultimately regulating a number of cellular processes including cell proliferation. Dysregulation of the RAS/MAPK pathway is a key factor in tumor progression. Targeted therapies directed to EGFR, which inhibit activation of the RAS/MAPK pathway, have demonstrated some success (increased progression-free and overall survival) in patients with colorectal cancer. Assessment for BRAF mutations has clinical utility in that it is a predictor of response to antimutant BRAF therapy. BRAFis a member of the mitogen-activated protein/extracellular signal-regulated (MAP/ERK) kinase pathway, which plays a role in cell proliferation and differentiation. Dysregulation of this pathway is a key factor in tumor progression. Targeted therapies directed to components of this pathway have demonstrated some success with increases both in progression-free and overall survival in patients with certain tumors. Effectiveness of these therapies, however, depends in part on the mutation status of the pathway components. The test is now available to Mayo Clinic patients and to providers worldwide through Mayo Medical Laboratories.